Did you know heat pumps provide an energy efficient way to heat your indoor or outdoor swimming pool? RJS Cooling Ltd are Approved Service Technicians for Calorex Heat Pumps Ltd.
Calorex Heat Pumps Ltd is a British company specialising in the manufacture of a wide range of swimming pool heating, and dehumidification products, that use the refrigeration process to great effect which prevent costly damage to your building structure. Calorex Heat Pumps Ltd strongly recommend regular periodic maintenance visits to all their products, and as their agents, RJS Cooling Ltd are fully equipped to carry this out. We are also able to respond to breakdown calls to carry out repairs and have access to a wide range of spare parts, and technical information. Consumers who own any model of Calorex heat pump or dehumidifier and require repair work or maintenance, may come directly to us, and can expect a speedy and reliable service as we regularly operate within a 100 mile radius of our Southampton office. 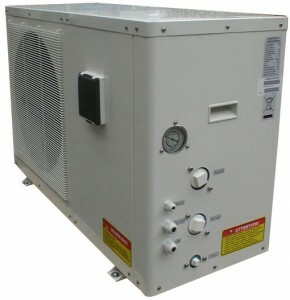 RJS Cooling Ltd provides servicing for all makes of equipment, including Calorex for whom we are main service agents. If you need your swimming pool heating repaired or serviced contact us for a free, no obligation quote.